I want to take a moment to spotlight a story that was published on my Stories of Courage page. A young woman, Sarah McLean, was only 25 when she was diagnosed with breast cancer. Her story of bravery and courage throughout such a difficult time at a very young age is inspiring. Sarah's determination to help others and their families through the healing process lead her to start a non-profit called Project31. 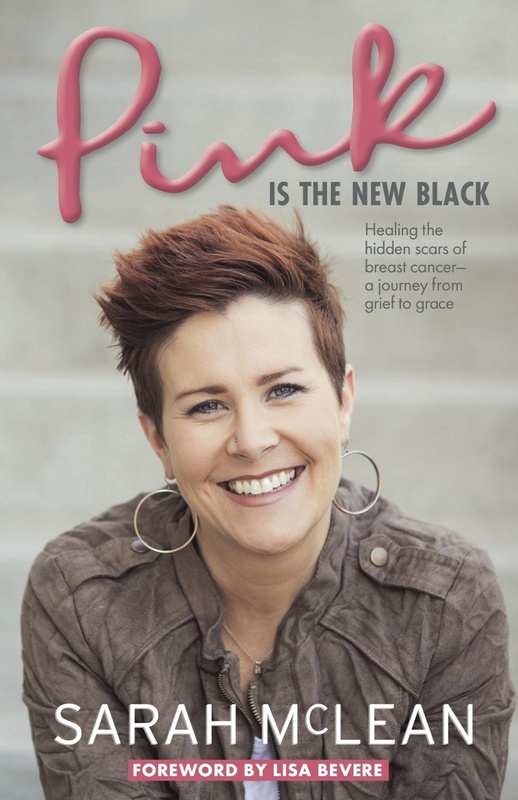 Her book "Pink Is The New Black: Healing the Hidden Scars of Breast Cancer: a Journey from Grief to Grace" is due out in September. At 25, Sarah McLean was just like a lot of young women her age: happy, healthy, newly married, working full-time. Anything was possible. During a routine annual female exam, she asked the doctor to look at a lump she had found in her breast. That was the day her life forever changed. It was breast cancer. After a lumpectomy, the doctor confirmed the cancer had already started to spread. Upon recommendation from the surgeon, Sarah opted to have a double mastectomy at twenty-six years old. She had only been married for a year at the time, but her husband, Steve, was an amazing support to Sarah during her healing process. A year after the mastectomy, Sarah found herself struggling with depression, self-image and intimacy issues. Steve relentlessly searched for someone to help her. Finally they found a psychologist – also a breast cancer survivor – who worked with Sarah and Steve to educate them on the grieving process cancer survivors go through. Once they got their feet back on the ground, they started a non-profit organization, Project 31, as an effort to embrace, equip, and empower other women going through the same battle. Their mission is restoration of survivors and their families after breast cancer. Sarah continued doing self-exams as a precaution, but eight years after her initial diagnosis, she found a lump on her skeletal wall during one of the exams. Unfortunately, cancer had returned – but not the same cancer. She was one of those “unlucky” people who happen to get cancer twice. Sarah was in disbelief. But after she got over the initial shock, she dug her heels in and had another lumpectomy followed by forty-eight treatments of high dose radiation. Two years later, she experienced some complications due to radiation, and in 2013 she underwent an extremely invasive surgery called a latissimus-dorsi flap reconstruction. Sarah’s perseverance and determination to see God revealed through her life have been her driving force to press forward one day at a time. Today, she is cancer free and lives in Oklahoma City, Oklahoma with her husband, Steve, and their two children, Colin and Tatum. She has written a book entitled "Pink Is The New Black: Healing the Hidden Scars of Breast Cancer: a Journey from Grief to Grace", due to be published in September, 2015. More information about her non-profit, Project 31, can be found at www.project31.us.